HOME >> COMMUNITY >> GENERAL DISCUSSIONS >> WHO'S GOING TO THE NORFOLK SCREENING? Who's going to the Norfolk screening? We should hook up beforehand. It'll be me, hubby, friend, sissy, and her hubby. Ooo, maybe we could tailgate! I'm trying to get there. Serenity posted that she had extra tickets for sale, and so far I'm her only response, but I haven't seen her on here since I was at o'dark:30. So, if all goes well, I'll be there. If it doesn't go well, I'll probably show up again just to say "hi" to any and all. I ll be there with Peanut from the UB, Ath (CMS's brother), and one of his friends. BrownCoat1 and another Richmond BC should be meeting us there. 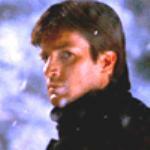 Hi, I'm new to this board, I'm usually on the Browncoats.serenity site. Me, hubby and a couple of friends will be heading down to Norfolk for the showing. We'll be coming from Charlottesville, so I don't know if we'll make it in time to tailgate, but it would be fun! I bought a few extra tickets that a couple of my friends might not be able to use, so if anyone needs a couple, let me know. I'll know in a week or so if my friends can't go. If any one has extra tickets please let me know. I actually called the theater the day before the tickets went on sale and an uninformed worker told me that there was no screening. So by the time I found out the worker was WRONG, all tickets were gone. I'm so sad. Hey, placidity! My friend is 100% going. Do you still wanna carpool? If so, let me know so I can make plans. Yes Lets plan on it. Shoot me an email so we can swap cell phone numbers and work out the details later this week. I've been corresponding with CallMeSerenity about purchasing the extra ticket. I'll need to meet up with you that night to actually pick up the ticket. Were you at the previous Norfolk screening? If so, a group met in the food court area just outside the Cheesecake Factory. That is a good meeting spot. Let me know how you want to work this. Placidity and I will be working out the details on the phone later this week. We'll let you know as soon as possible. If you'd like, you can give one of us your phone number so we can call you as soon as we know. This is going to be a crazy week for me at work, so I don't know how often I'll be on here. Email me via my profile once you all have the details for arrival in Norfolk worked out. I'm local (Virginia Beach) so probably have the most flexibility. Looking forward to meeting all. Just for the record Placidity is the shiniest Browncoat ever. I couldn't get tix for this screening, just like the 1st, & he had my back & copped some extras for us less fortunate Firefly fan boys. Your welcome. I knew how disappointed you were not being able to make the last one. So worst case scenario I would have to make an effort to find 2 BC's in Norfolk. Just glad to help out, didnt want you resorting to EBAY!!!! Look forward to a LONG trip to Norfolk from DC....long nite!!!! Okay, I have 2 extra tickets for sure, possibly 1 more making 3, but don't know about that yet. I don't want to put them on ebay, I just want what I paid for them!! WE'VE GOT TO FILL THE SEATS! Surely there are some Browncoats on here that want to buy these Norfolk tix to see the screening. Have you posted over at the 'Versal board too Ckone? Keep the Shiny Side Up . . . (wutzon) Stones, "Sympathy for the Devil", from "Beggars Banquet"
Placidity. Drop me an email or call me so we can arrange meeting up so I can get the tickets from you. Some other Richmond Browncoats & I will be in the foodcourt around 6pm Thursday night, then we plan to get in line around 7pm if the theatre allows. I'm meeting up with CallMeAth to pick up my ticket outside the Cheesecake Factory. I think we are planning on 7:30-8:00ish. If anyone coming from out of town needs directions to the mall, I am local and would be glad to help. I ran it through mapquest and yahoo and the routing was terrible, so feel free to contact me. See ya in the 'verse. I ran it through Expedia from Richmond and they seem pretty easy to follow to me. It doesn't appear to be too far off of I-64. Expedia routes you through the city as well. I messaged you details. Hey. I live up in DC. I was going, but, other things came up and I can't make it. I've got two tickets I'd be willing to give anyone that needs them. Just shoot me an e-mail. sutherlandst att mac.com. I've got one extra ticket to the Norfolk screening as my poor brother can't make it! If anyone's interested, please e-mail me at littlefox189@yahoo.com. I won't be able to check my e-mail after 3pm EST time though. If I don't get any responses, I'll just try to give it away at the screening itself. Just an update, I think I have someone for the Norfolk ticket. See you all there!! So looking forward to the screening tonight! I will be in the food court outside the theatre around 6pm - 6:30pm. I will have my "Fighting Elves" shirt on. I will have my wife, daughter, & one of our converts. Look forward to meeting those that have the time. I do have a ticket now. I'm really looking forward to this screening and meeting other Browncoats. So glad you got a ticket Hildy! Hope to see you there.